You know how a lot of people have their favourite artists that they swear by? Well in the SCP office, Parachute is the band that Pete swears by. He will basically force anyone who he thinks will like Parachute to listen to Kiss Me Slowly - Parachute's most amazing single to date..
Needless to say when Pete found out about Can't Help, the new single from Parachute, he purchased it from the U.S. iTunes store immediately! Like every other single they've released Can't Help is a brilliant track that shows just how far this Charlottesville band has come in a relatively short time. We loved their last single Hearts Go Crazy which was the first single from their upcoming third album Overnight - and we just can't wait for that!! 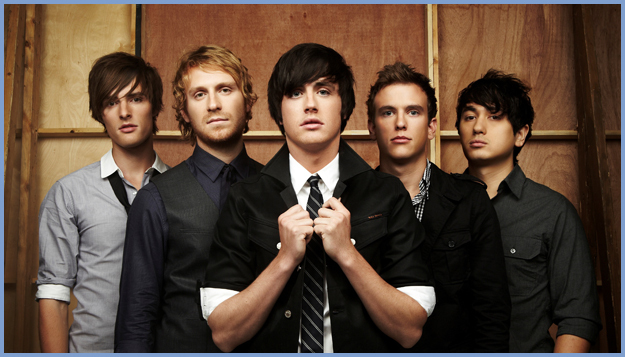 Definately Parachute has not yet found the success they deserve as their music is a symphony for the ears of Pop/Rock lovers. Have a listen to Can't Help here now - and if you love it, check out their back catalogue - you won't regret it..!